Drexel tennis head coach Tricia Udicious expects big things from her women’s team this season as she plans on making frequent use of her new roster depth. 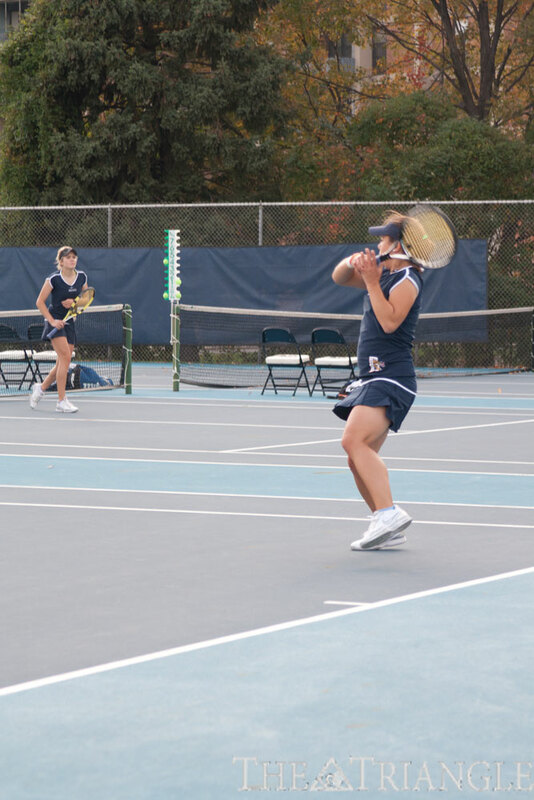 After their summer off-season, the Drexel women’s tennis team is gearing up to return to action this fall. The Dragons’ tennis team has been preparing through their daily two-session practices to get back to the grind of the tennis season. When they do get back to the grind and start their season, they will in a big way — the Dragons open their fall schedule with the Cissie Leary Invitational tournament at the University of Pennsylvania the weekend of Sept. 23-25. That will be the first of three season-opening tournaments they play before their home opener Oct. 14 against Monmouth. That tough start to the season, opening with three tournaments, could be a challenge to their bodies as they play more matches than a typical matchup, but as head coach Tricia Udicious described, it could be a good test. “It’s a good test for all our players in the fall, and it kind of tells you who came ready and who didn’t,” she said. Expect the Dragons to be in the category of those who did come ready. Udicious comes into the fall season with very high expectations, and with good reason. She noted how much stronger and deeper the team is this year, compared to other years, which includes three consecutive winning seasons. To make up that deep roster, Drexel has a number of talented players returning, as well as a strong incoming class. Among the returning Dragons this season will be Elise Leizerovich, the lone senior on the squad. A key returning part of the team will be Alex Bell, who is coming off a summer filled with hard work in preparation for the upcoming season. Udicious described Bell as an important factor, noting the tremendous work effort she put in over the summer. She also pointed out that Bell is an incredibly important member of the team, both on and off the court. A strong roster will join Leizerovich and Bell this season, which is important. “In our sport, our first point means as much as our sixth point,” Udicious said. Because of the importance of having a strong, balanced team, a strong cast with depth is important. Udicious also expects Zeynep Mafa, a freshman last season, to build off her strong rookie season and continue with that success. Joining the returning Dragons will be an incoming class of four new tennis players. Among the new Dragons will be transfer student Marcela Rosales, who is expected to battle for the top spot this year. Rosales will be a key player to look for big things this season. Freshman Nicole Pervoka will provide that much needed depth, and contribute well as an asset for singles and doubles matches. That extra depth will be a huge improvement from last year, as their roster has grown from six players to eight. Last year, they struggled with health, having a shorter roster, but with the deeper team, that will no longer be as much of a problem. The Dragons do have some success to build off from last year. To close the season in the 2010-11 academic year, Drexel won seven of their final 10 matches, after struggling during a stretch up to that point. Included in that strong finish was an opening-round victory at the Colonial Athletic Association tournament against Towson University. That strong finish, especially with a number of key players from that stretch returning, can help contribute to a successful 2011-12 season, and perhaps lead to a fast start with the tough opening to the schedule. That confidence is something that should continue to grow, and as they continue to get better, the team will work toward a fourth consecutive winning season. The confidence may be serving as the fuel for their preparations for the season, which have been extensive. The Dragons have every reason to expect a strong season this year, and should be ready to go come the opening match in University City at Penn’s courts Sept. 23. 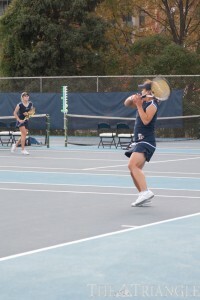 Like Udicious, you can expect another strong season from the women’s tennis team. “If our first day is any indication, it’s going to be a good year,” she said.